Frozen rosé hits the spot on hot days with its slushy mix of wine and fruit. 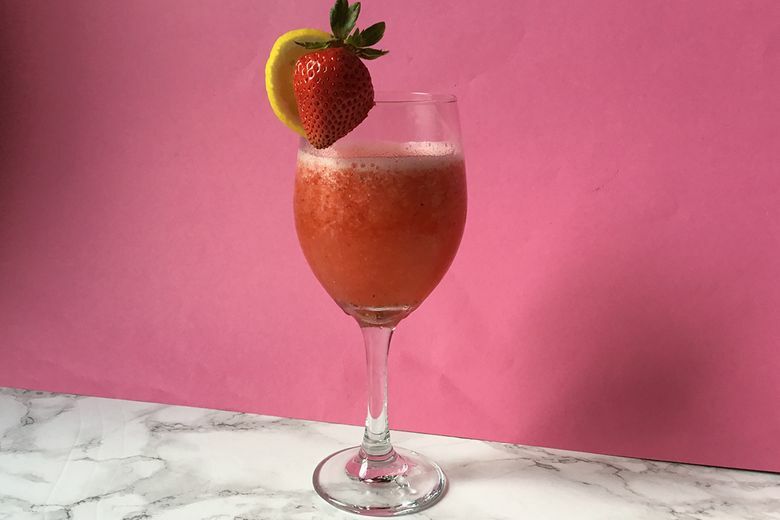 I find rosé wine to be delicious and refreshing, and in the form of a frosé — or frozen rosé — can keep you hydrated better than wine alone. 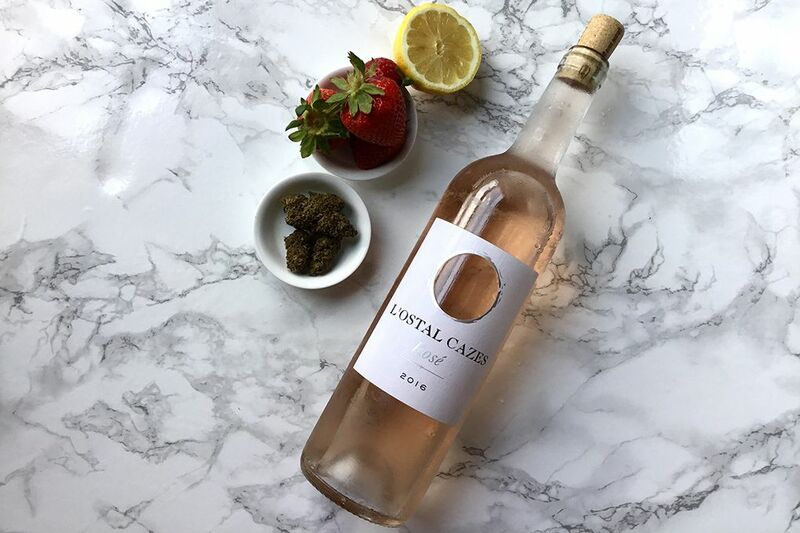 And since the wine here is not only low in alcohol but also watered down with ice and fruits, it’s a safer place to put a dose of cannabis without overdoing it. There are two ways to approach these drinks. You can make them on demand, or two at a time by dividing the ingredients in half for each run of the blender. This way you’ll have a fresh slush-like texture for each drink. If you make them ahead, they can melt and you will end up with watery wine. The other way is to go big. To make the drink, toss everything in the blender and pulse until you have a silky slush texture and all of the ice has been chomped up right. Serve in a wine glass and garnish with the fruits that you have leftover. Translating this into a large format cocktail is really simple, but you still have to blend it in batches, since we have already established that frozen drinks have a life of less than 10 minutes. First, determine the number of total drinks you want to have, and scale up the ingredients list to accommodate that amount. Then macerate the strawberries with the lemon and tincture. This will make a rough fruit compote which you can then spoon into the blender (two tablespoons per drink roughly) before adding the wine and ice. Serve in rocks glasses for a margarita-like appearance, or keep it in stemmed glasses to preserve the texture of the slush as long as possible. *Cannabis glycerin tincture: In an oven-safe container double sealed with foil, decarboxylate 3.5 grams finely ground cannabis at 225 degrees Fahrenheit. Put cannabis in a mason jar or vacuum-sealed bag, pour over two ounces of vegetable glycerin and seal tightly. Place in a water bath at just under boiling for one hour. Strain and keep contents in a sterilized container. Stores indefinitely in freezer. This recipe is courtesy of The Fresh Toast, a lifestyle/entertainment site with a side of cannabis. The Seattle Times is running occasional light lifestyle items from this site. For related recipes, news, features and pop culture, visit The Fresh Toast.